Decades after their breakup in 1975, Memphis' Big Star still remain one of the most influential cult bands in the United States. 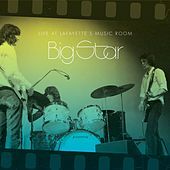 The music of Big Star -- which featured songwriters Alex Chilton and the late Chris Bell, as well as drummer Jody Stephens and bassist Andy Hummell -- is built around a studied purist's pop foundation. Much like the Beatles, Big Star's upbeat pop/rock songs are filled with soaring harmonies, addictive hooks and guitar riffs that still baffle the virtuosos. Big Star's classic, sometimes difficult Third/Sister Lovers LP boasted a departure from the classic pop/rock formula into a much darker, drug-fueled realm of heartache and loss mixed with over-the-top studio innovation. 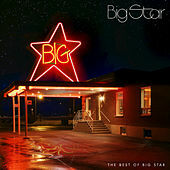 Many musicians have said that Big Star were to the 1970s what the Velvet Underground were to the 1960s.